Bananas : Musa Sikimensis "Red Tiger"
Musa sikkimensis is a variable, robust banana with a thick trunk. One of the best species for the UK and our personal favourite. "Red Tiger" is a particularly colourful version of the sikimensis with much more colour on the leaves with some examples having almost all red leaves. Exposure to the sun reddens them up. Seed grown plants are variable in hardiness, but can usually be overwintered in the same way as Musa basjoo. 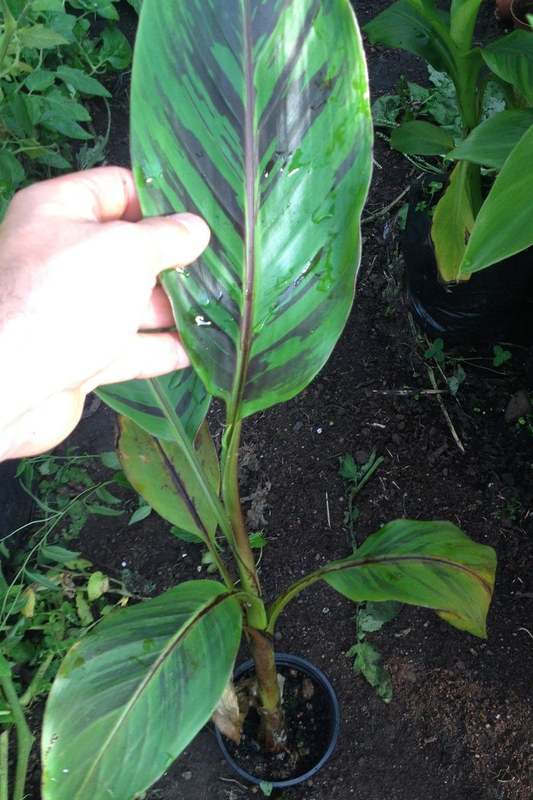 However, Musa sikkimensis rots more easily in cold, wet weather. Grows very well in cool conditions and is one of the last to stop growing in winter.